WOW, is this a good dish! My philosophy in the kitchen is Keep It Simple but this had to be attempted. 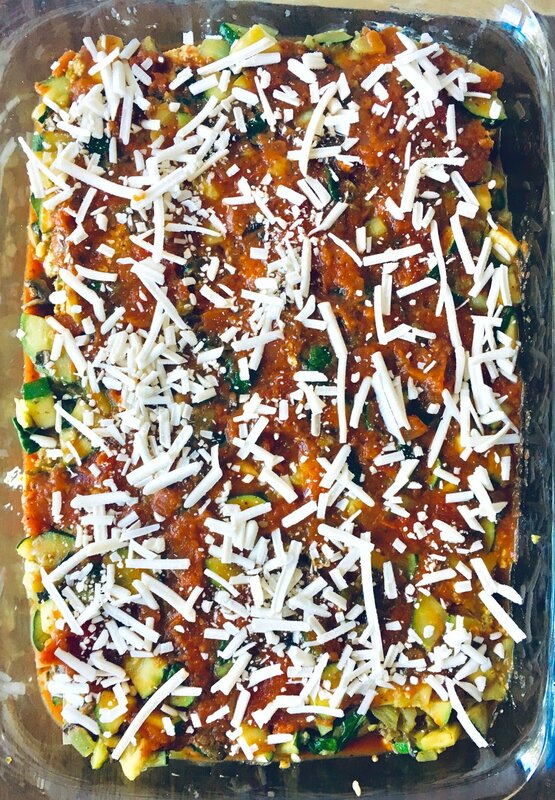 I almost turned away from making lasagna because I’m not a fan of how much fat and oil can go into vegan cheese but I realized that 1 cup of cashews can go a long way. 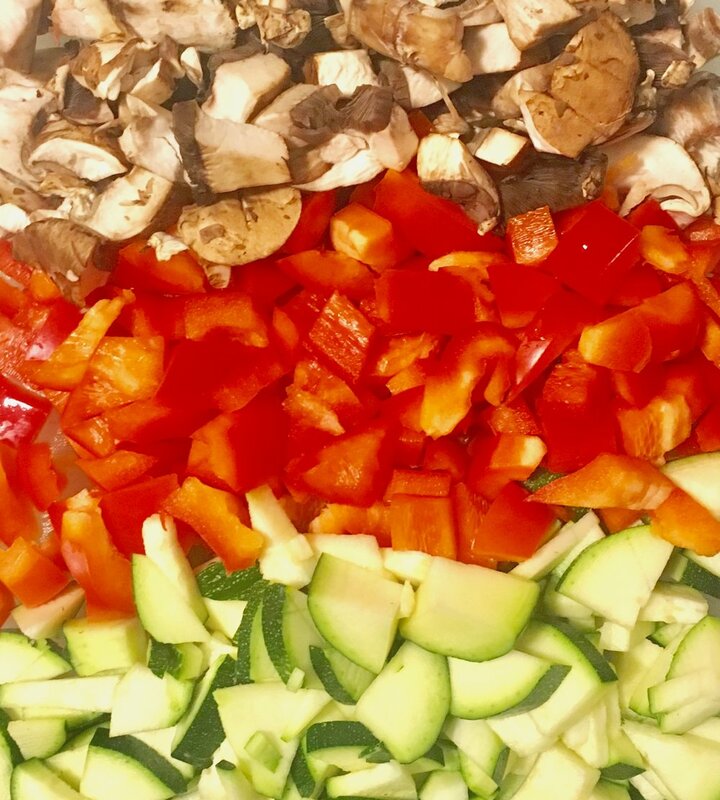 I played with ingredients that typically go into a cheese-like flavor and the result is an oil free cashew cream sauce layered between sautéed veggies and semolina noodles. Semolina is flour from durum wheat and it’s not fancy or hard to find. I love it because it’s high in protein and contains fiber, therefore creating a balance of nutrients in a pasta dish. 5. In a large pan, sauté onion and garlic with a splash of water or balsamic vinegar. 6. Add the rest of the veggies and sauté for 10 minutes with paprika, cumin, and sea salt. 15. Bake for 40 minutes, remove the foil and set to broil on HI for 5 minutes. 16. Spread chopped cilantro on top of the cooked lasagna. Allow 10 minutes to cool.